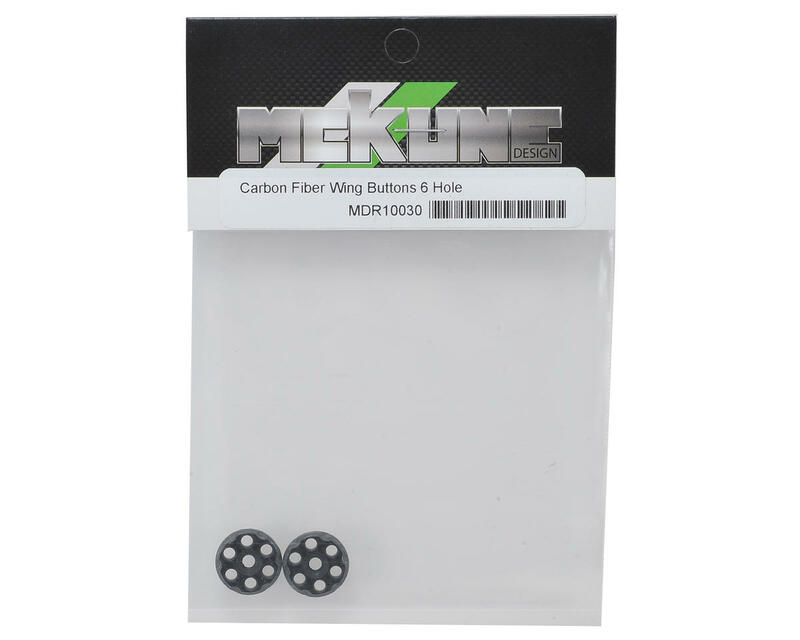 The Mckune Design 6 Hole Carbon Fiber Wing Buttons are compatible with any 1/10 buggy that uses screw in type wing mounts. 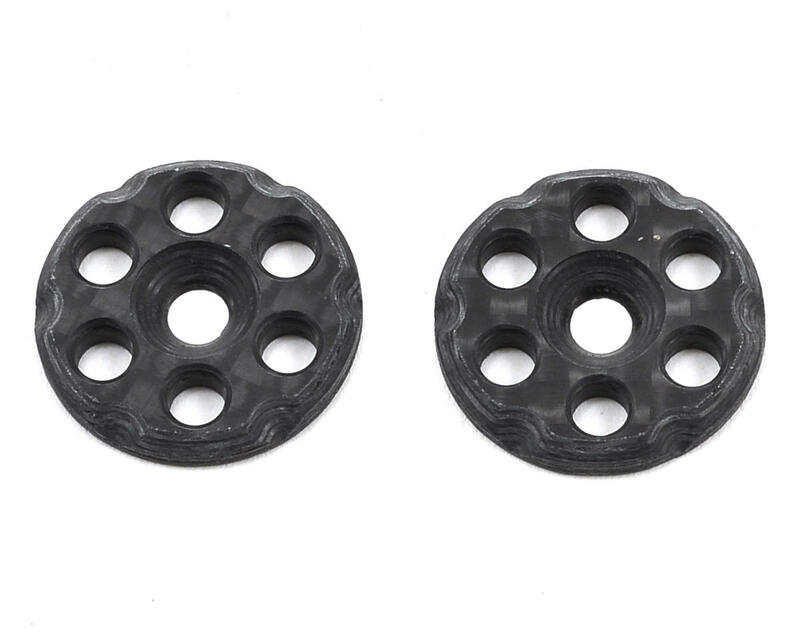 Machined in the USA from 2.0mm quali-isotropic carbon fiber, this wing plate is ultra lightweight at 0.3 grams! These are a must have item for any racer looking to shed weight.